We talk a lot about field monitors and monitor-recorders here, but seldom do we get the chance to look at the latest in desktop monitors. And when you consider how many hours we spend cutting video, color correcting, and even doing visual effects, perhaps we need to change that. Studies show that the more “screen real estate” you have, the more productive you will be during the day, and that’s of course true when dealing with a relentless post-production workflow! 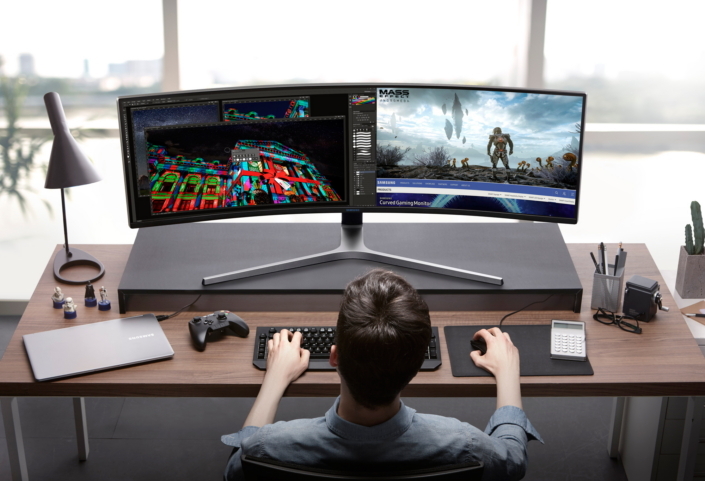 But what if I told you that an ultra-wide monitor designed with video gaming in mind could be the answer to your post-production monitor needs? 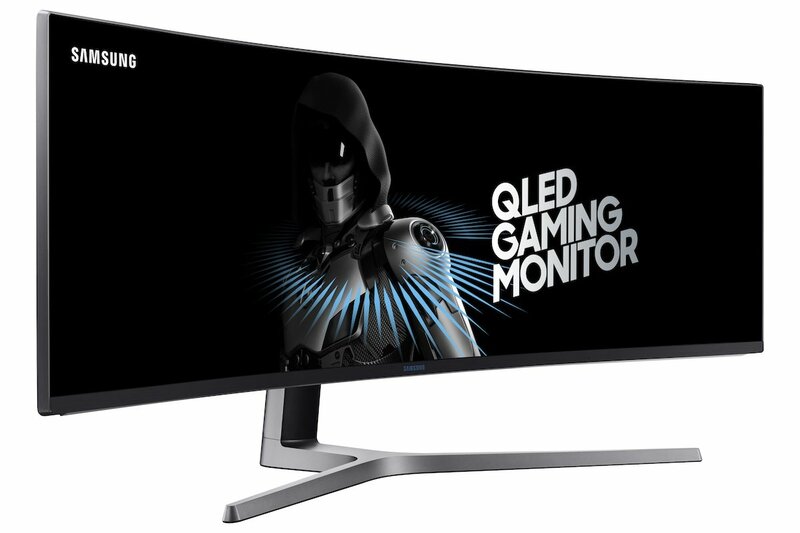 The new Samsung CHG90 is one such monitor. 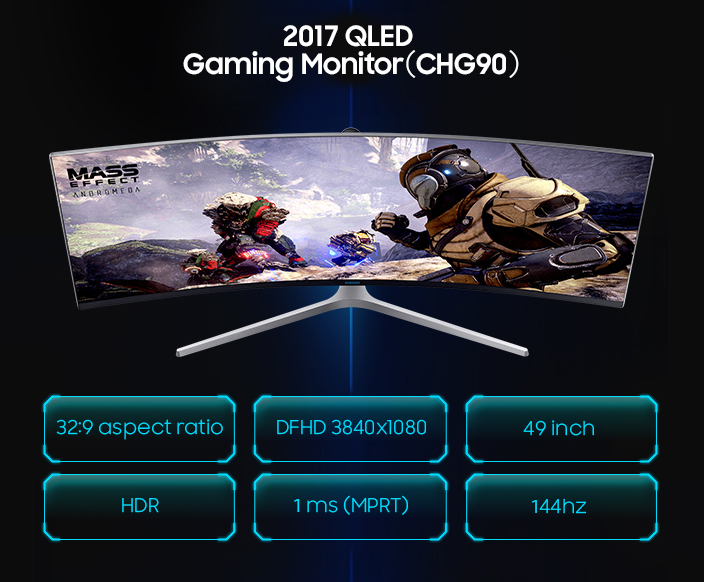 Designed with video gaming in mind, super ultra-wide monitors like the 49-inch CHG90 have a curved, 32:9 aspect ratio, greater than the current state of the art 21:9 monitors. With its curved design, the CHG90 also almost covers the entire periphery with a 178 degree viewing angle. The reason for the curve is more ergonomic than it is attractive, as it is meant to reduce the amount of head movement while in game play, and to make the experience more immersive and less tiring on your eyes. 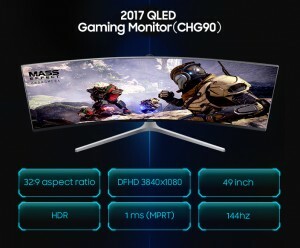 The monitor is a 600 nit VA LCD panel with a super fast refresh rate of 144Hz, and uses Samsung’s quantum dot technology for high dynamic range color gamut through HDR10. The result is 125% of the sRGB color spectrum, and 95% of the Digital Cinema Initiatives (DCI-P3) motion picture standard to deliver exceptionally wide color range. The CHG90 also uses AMD’s Freesync 2 for better transmission of processed graphics from your GPU to the monitor screen itself. The result is smoother video with fewer artifacts, screen tearing or stuttering. The only thing missing is a Thunderbolt 3 port. Additionally, the CHG90 also has the capability to do split screen and get 1080p full HD resolution to put up to six different screens at once using Samsung’s CHG90 Easy Setting Box control utility. 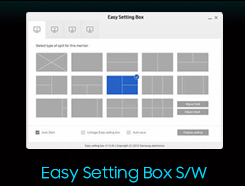 This enables users to organize their screen content according to preferences to make their work or play more productive and immersive. 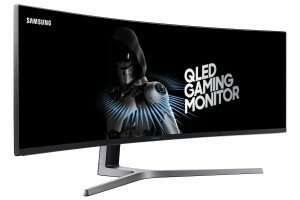 Samsung also has a smaller, 27 and 35.1 inch CHG70, which offers the same curved experience, but at lesser resolution with 2560 × 1440 WQHD resolution. It still sports the ultra fast response time and the same HDR 10 picture enhancement. It’s easy to see how a super ultra wide monitor like the Samsung CHG90 could be beneficial for not only gaming, which it was designed, but also for post production workflows, especially when cutting virtual reality and 360° video. With all that extra screen real estate and the ability to custom divide the screen, editors and visual artists will really be able to dial in their user preferences and streamline their workflow, while also getting in a few after hours gaming sessions while they’re at it! Available for pre-order at Samsung with an MSRP of $1499 for the 49-inch CHG90, $599 for the 27-inch CHG70 or $699 for the 31.5-inch model. Shipping in July. Of course, I want one! doddleNEWS Newsletter Contest Is Over; Winner Announcements Coming Soon!